Democrat Bucky Absher will be announcing his candidacy for sheriff of Ashe County at 7pm next Wednesday, January 10, at Smoky Mountain BBQ in West Jefferson. Incumbent Republican Sheriff Terry Buchanan is currently suspended from office and under indictment for felony obstruction of justice. 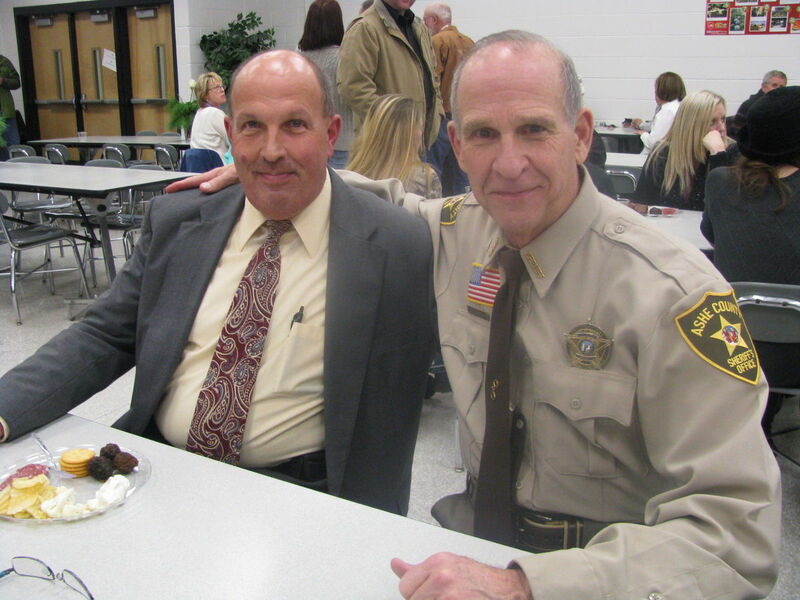 Bucky Absher was a chief deputy in the Ashe County sheriff's department under long-serving Sheriff James Williams. When Williams retired a year ago, Absher was a leading contender to replace him by appointment of the Ashe County Commission, but in a split 3-2 vote, the County Commission chose Terry Buchanan instead. That's when the trouble in the Ashe sheriff's office began. Events following a public records request from WBTV in Charlotte for Buchanan's cell phone records, as well as those of the commissioners who voted for him, and the stonewalling by Buchanan, were detailed in a petition to the court for Buchanan's removal produced by District Attorney Tom Horner. One of the commissioners who voted for Buchanan, Gary Roark, resigned his office back in November. With Absher in the race, Ashe County Democrats are poised to make a strong showing up and down the ballot in November.